With great excitement, we unveil our new websiteto YOU! Our aim is to have an accessible, dynamic, top quality website that provides up-to-date service information that can be easily accessed by the public, and from anywhere in the world. On the new www.spacesforchange.org site, you can now easily sift through our portfolio of projects, programs and activities, making it easier for you to navigate and better understand our wide range of services and capabilities. A variety of icons on the top right corner of the header will take you directly to our online portals on the social media: Twitter, Facebook, YouTube, Flickr, LinkedIn and issuu.com. Right at the top of the Home Page, you can directly access seven other displayed pages, so that you can decide which one is of most interest to you, and then go straight to it. With its own unique page title, each page clearly explains the page content. 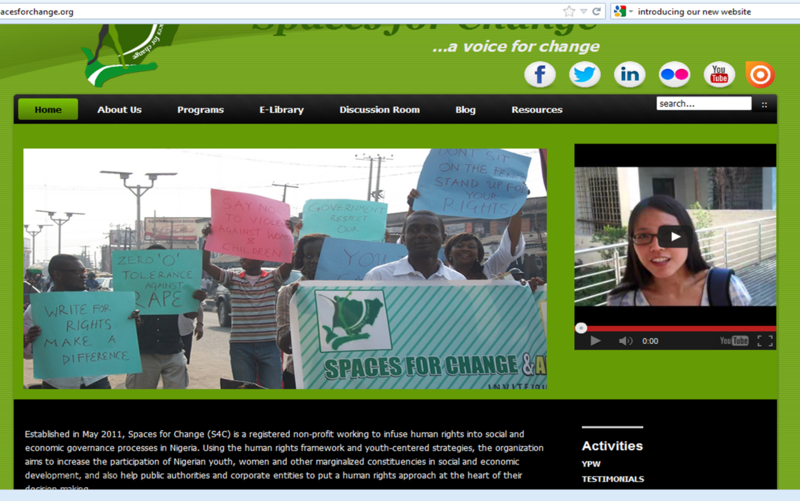 Each of the pages gives you insights into thenew and exciting things happening at SPACES FOR CHANGE. Some of the pages have drop-down links to new windows or pages containing fresher content about specific projects or activities. This will also help you keep track of where you are in the website, and make it possible to distinguish between pages when you have more than one window or tab open. Information, including text, charts, images, photographs and video (collectively referred to as “Content”) presented on the Spaces for Change website is protected under copyright law and other treaties and statutes. Visitors may use the Content for personal use. The explicit consent of Spaces for Change is required for use exceeding this scope (including reproduction, modification, transmission, distribution and transfer).Except as stated above, Spaces for Change grants Visitors no copyrights, patent rights, trademark rights, or other intellectual property rights relating to Content. Links usually take you to other Spaces for Change portals across the web. 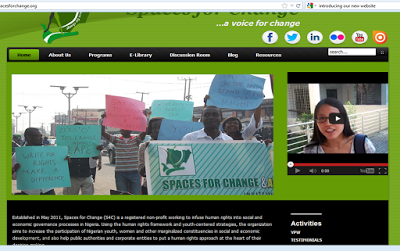 Links to non-Spaces for Change websites and downloadable files such as PDF, Zip, or Word open in a new browser window when clicked. This allows you to switch between our website and the newly opened window. Links are written clearly in white or black , making it easier to scan visually as well as if you are using a screen reader. We hope you like the new look and we’re sure you’ll like the improved navigation and fresher information. Please do not hesitate to tell us how we can serve you better.